All my research in animal behavior has focused on understanding social behavior and animal cognition, especially decision-making and learning. 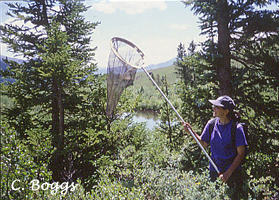 Below are some of my major research projects on insects, birds, and mammals. 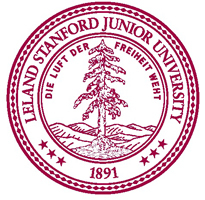 I obtained my undergraduate degree from Stanford University (Biological Sciences Department) where I was advised by Dr. Carol Boggs. 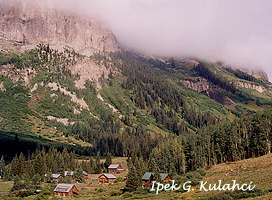 We conducted our research at the Rocky Mountain Biological Lab in Gothic, Colorado. 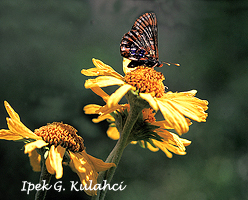 I worked with Euphydryas gillettii (Gillette's checkerspot), a butterfly species native to Wyoming but experimentally introduced to Colorado in 1975. During my first summer, we witnessed a population explosion that we outlined in our paper in the Journal of Animal Ecology in 2006. I then followed up on this by investigating the mate-location strategies of E. gillettii males. Males either perch and wait for the females or they fly over the habitat and seek females. We found that habitat factors, weather conditions, and the presence of other males all influenced the mate-location strategy that dominated in the population. This honors' thesis research was supported by Center for Conservation Biology and by an HHMI grant from Undergraduate Research Opportunities. 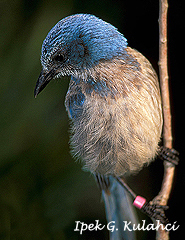 I was a research intern for Dr. Reed Bowman at the Archbold Biological Station in Florida, where I studied food storing (caching) behavior of Florida scrub-jays. Multiple species pilfer each others' caches, and one strategy to avoid pilferage is to cease caching when others are present. Caching, therefore, provides a window into multiple aspects of animal cognition including learning, memory, and decision-making. 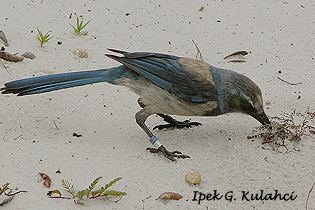 Jays frequently recover the food items that they had previously cached. I investigated whether the decision to eat or recache a recovered item is influenced by the social environment or by the abiotic factors that influence cache viability. Jays avoided potential social conflicts by flying away from the cache recovery site. However, their post cache-recovery decisions were significantly influenced by the habitat properties that determined cache viability. 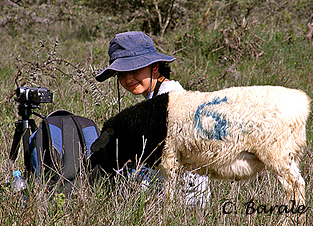 We published our results in Ethology in 2011. For my master's thesis, I investigated whether signals in multiple sensory modalities provide an advantage for learning and decision-making. Humans, for example, show a trade-off between the speed and the accuracy of decisions. 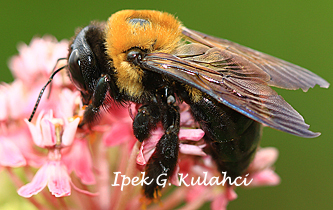 This trade-off has also been shown in other species including bees. 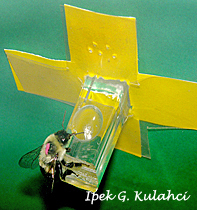 Together with my advisor, Dr. Daniel R. Papaj at the Department of Ecology & Evolutionary Biology, University of Arizona, we presented bees with an artificial flower patch in which only some flowers provided nectar. 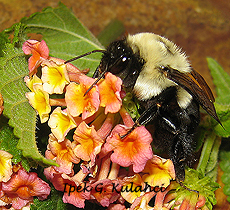 When the flowers differed in shape and scent, the bees were able to better distinguish between rewarding and non-rewarding flowers, in comparison to when the flowers differed only in their shape. A speed-accuracy trade-off was present during all decisions. However, bees' decisions were consistenly more accurate across a range of speeds when flowers differed in both shape and scent. We published our results in Proceedings of the Royal Society B: Biological Sciences in 2008. During my first year as a graduate student at Princeton, my cohort and I went to Kenya, where one of my advisors, Daniel Rubenstein, has been conducting behavioral research on equids for many years. Our "Tropical Ecology" course was lead by Daniel Rubenstein (Princeton), Iain Couzin (Princeton) and Tanya Berger-Wolf (University of Illinois at Chicago). 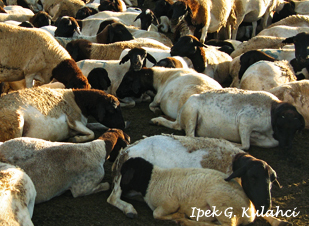 As a part of this course, we worked on tracking the social interactions and group movement in domestic sheep. 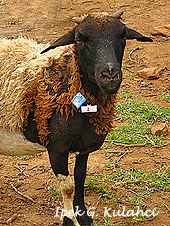 Every morning, we fitted the sheep in our study site with GPS units. By combining the GPS data and the daily observations, we constructed social networks based on social interactions and movement. 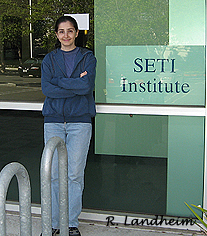 Between 2007-2009, I had the great opportunity to work at the SETI Institute and NASA Ames Research Center in Mountain View, CA. During this period, I took a short break from animal behavior to pursue my other academic interest: astrobiology. Astrobiology is the study of "origin, evolution, distribution, and future of life in the universe" (astrobiology.nasa.gov). As biologists, we study life and its diversity. However, all life as we know it represents a sample size of only one. Finding other life forms on other planets would be the one of the biggest discoveries we will ever make. Astrobiology integrates astronomy, cosmology, planetary sciences, geology, physics, chemistry, and biology, and it has something to attract the interest of everyone. My Ph.D. dissertation focused on understanding the links between social relationships and cognition. Many group-living species display high social selectivity in their social behavior by interacting with some, but not all, of their conspecifics. I worked with ring-tailed lemurs (Lemur catta) to address the mechanisms behind this social selectivity and its consequences for cognition. My dissertation was supported through grants and fellowships from Princeton University, American Society of Primatologists, American Society of Mammalogists, and Animal Behavior Society. The ability to recognize individuals is critical for maintaining selectivity in social interactions. In collaboration with my Ph.D. advisors Dr. Asif Ghazanfar and Dr. Daniel Rubenstein, and Dr. Christine Drea from Duke University, we tested whether lemurs use information from multiple sensory modalities to recognize group members. 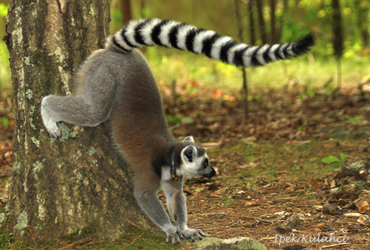 We demonstrated that lemurs recognize familiar females by matching their vocalizations and scents. 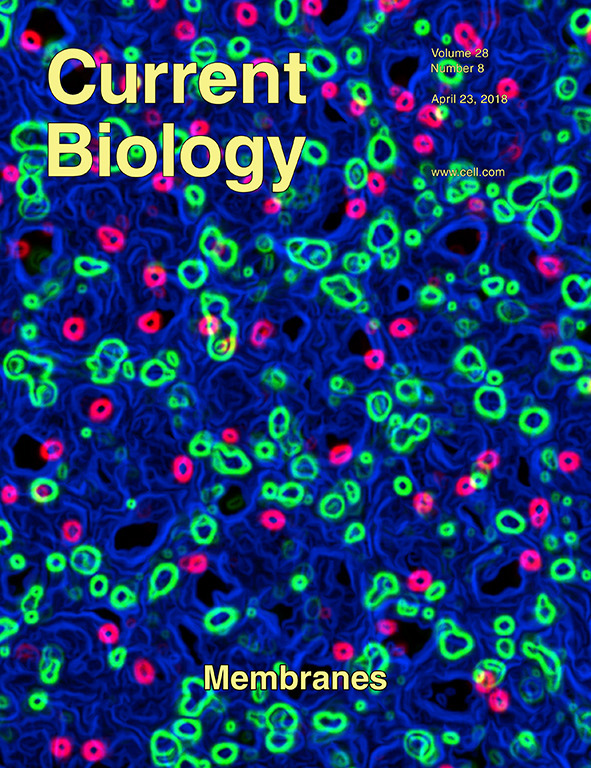 Our paper, which was published in Proceedings of the Royal Society B: Biological Sciences in 2014, and titled "Individual recognition through olfactory - auditory matching in lemurs", was featured in Duke University, Natural History magazine (June 2014 issue), NSF, and Science et Vie Découvertes. 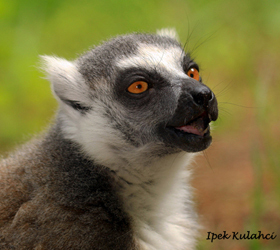 Lemurs are very vocal and frequently produce contact calls that elicit vocal responses from others. However, they are highly selective in their vocal responses, and preferentially respond to the contact calls of the conspecifics with whom they share strong social bonds. Our Animal Behaviour paper titled "Lemurs groom-at-a-distance through vocal networks" was featured in Princeton University, ScienceNews, Nature World News, Pacific Standard, Daily Mail, and Today's Science, and Science Editor's Choice. 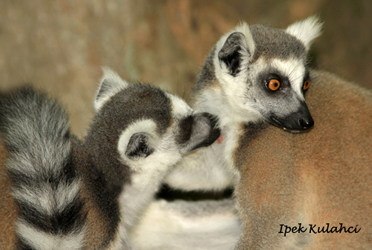 Lemurs vary in their social behavior; some are highly social while others are not as social. By quantifying these differences using social network analysis, we found that such individual variation in social behavior is highly consistent and carries over across years and different behaviors such as grooming, aggression, and communication. These consistencies are likely to be due to social preferences and personalities, and persist during different life stages. Our paper "Consistent individual variation across interaction networks indicates social personalities in lemurs", was published in Animal Behaviour special issue on social networks, and was featured in Duke University, Duke Chronicle, and Biosphere. Animals preferentially form social relationships with knowledgeable group members who successfully learn and use novel information. We compared individual lemurs' social relationships and position in social networks before and after a task-learning experiment. The lemurs who were frequently observed while solving the task received more affiliative behaviors and became more socially central than they were before the experiment started. Our Current Biology paper titled "Knowledgeable lemurs become more central in social networks" was featured in a dispatch by Andy Whiten, and by Princeton University, Current Biology, Princeton Alumni Weekly, IFL Science, SciShow, Geek.com, La VanGuardia, The Wildlife Society, and BBC Wildlife. 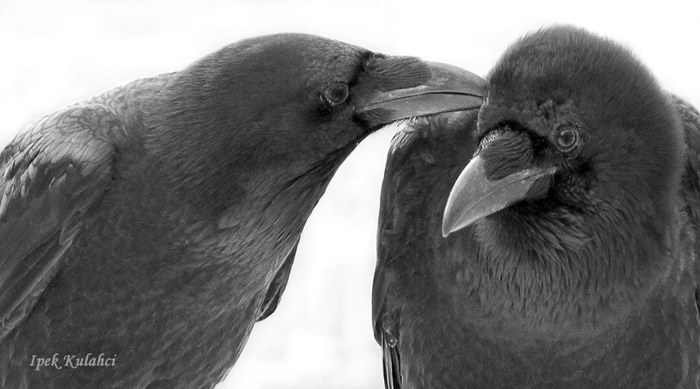 As part of my Ph.D. research, I worked with ravens (Corvus corax) to investigate how social relationships influence learning and information transmission. In collaboration with Drs. Christine Schwab and Thomas Bugnyar from the University of Vienna in Austria, and Dr. Will Hoppitt from the University of Leeds in UK, we tested the role of different social relationships in information transmission. We constructed networks from affiliative interactions (e.g. preening), aggressive interactions, and close physical proximity. We then tracked the spread of novel information (i.e. how to open a box to access a food reward) in raven groups. 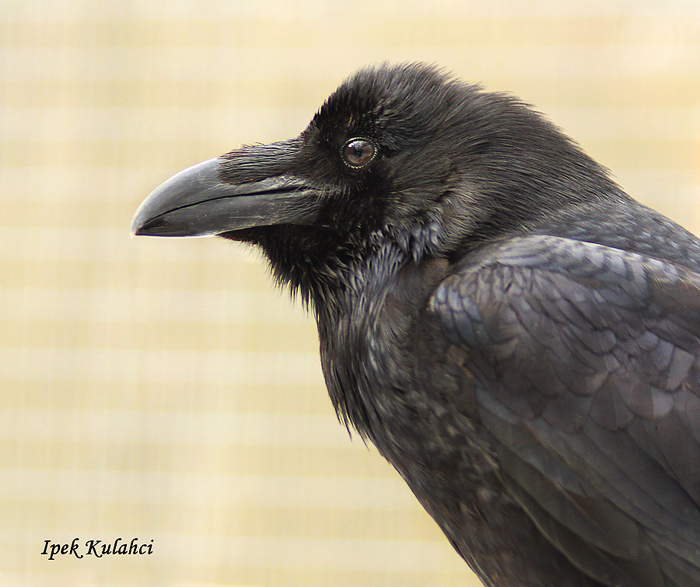 Ravens selectively observed and learned from the group members with whom they shared strong social bonds. 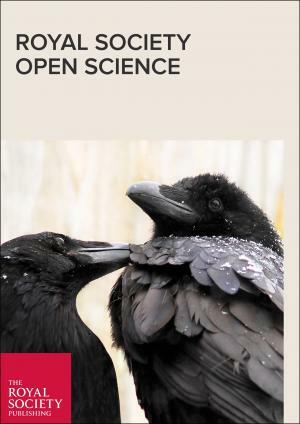 Our paper "Social networks predict selective observation and information spread in ravens" was published in Royal Society Open Science, and was featured in University of Vienna news (German, English), derStandard, Neue Zürcher Zeitung, Wiener Zeitung, LeScienze, and Washington Post.